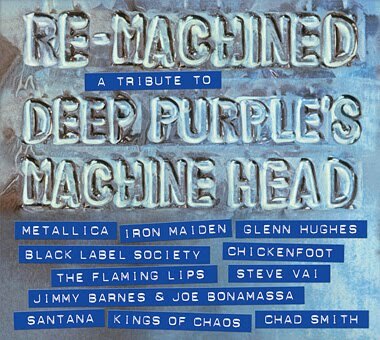 Deep Purple’s landmark 1972 album, “Machine Head,” is getting the tribute treatment. "Re-Machined: A Tribute To Machine Head" is a compilation CD featuring re-interpretations of songs by Metallica, Iron Maiden, Chickenfoot, Black Label Society and more. The disc will be made available on September 4 with Classic Rock magazine's upcoming Deep Purple fanpack. Now, the band has confirmed that “Re-Machined” will be released commercially on September 25.